A few years ago, I told an environmentalist friend of mine, who is also a medical doctor, about my green roof and plan to grow food. She looked at me strangely, obviously torn between disapproval and an instinct to be polite in the face of my enthusiasm for urban agriculture. Finally she shared her opinion that urban food production was dangerous, due to the high levels of lead and other contaminants in so many urban soils. I explained that green roof soils were sourced from outside of the city and no more likely to be contaminated that any others. She pointed out that, even so, I was not immune from atmospheric disposition of contaminants, and we dropped the subject. Ever since, somewhere in the back of my mind, lurked a worry that perhaps she was right. But here’s what I found most interesting: nutritious calcium concentrations in urban apples and peaches were more than 2.5 times those in their commercial counterparts, and the amount of other beneficial micronutrients were higher in every type of urban fruit tested. 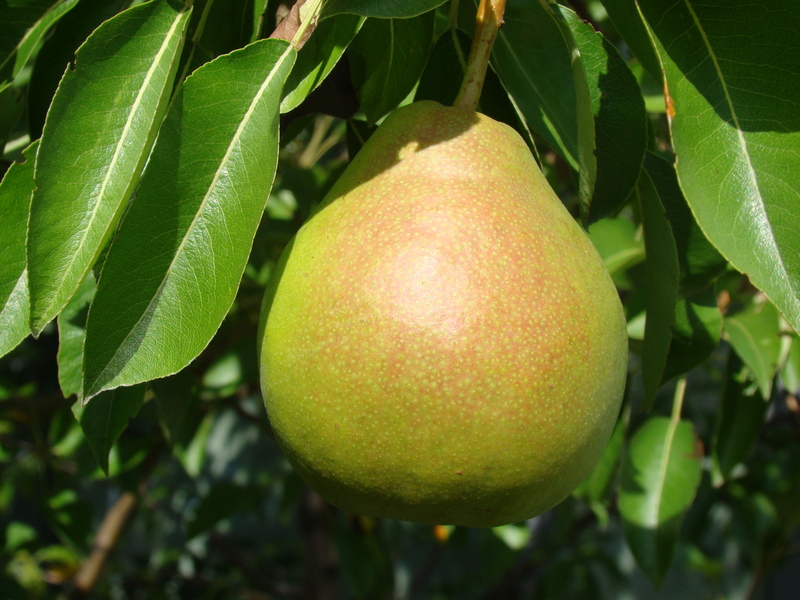 Their conclusion, in the careful language of science: “On average urban fruit contains a wider range of micronutrients than their commercial counterparts.” But why? That’s a question for another day. 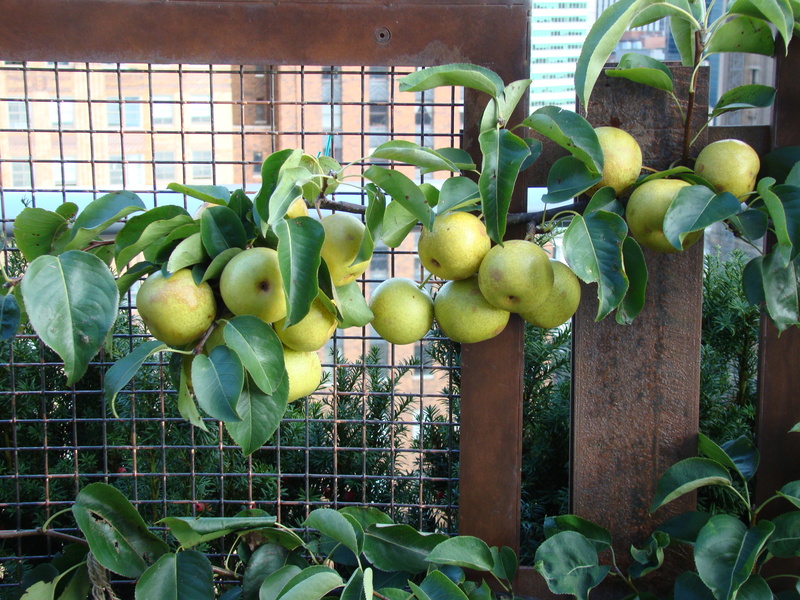 In the mean time, I will be serving my guests Battery Rooftop Garden’s Asian and European pears, peaches, plums, nectarines, and apples without guilt, and with the satisfaction that they are almost certainly more nutritious than the store-bought alternative. With thanks to my cousin Amy for bringing this study to my attention. If you want to read the full paper, click here. This entry was posted in Apples, Asian Pears, Cooking and Eating, European Pears, Fruit, Nectarines, Peaches, Pears, Plums, Soil, Urban Agriculture and Food Policy. Bookmark the permalink.